The great white shark pencil case was created to commemorate Sir Winslow's discovery of the many sharks he found during his travels. 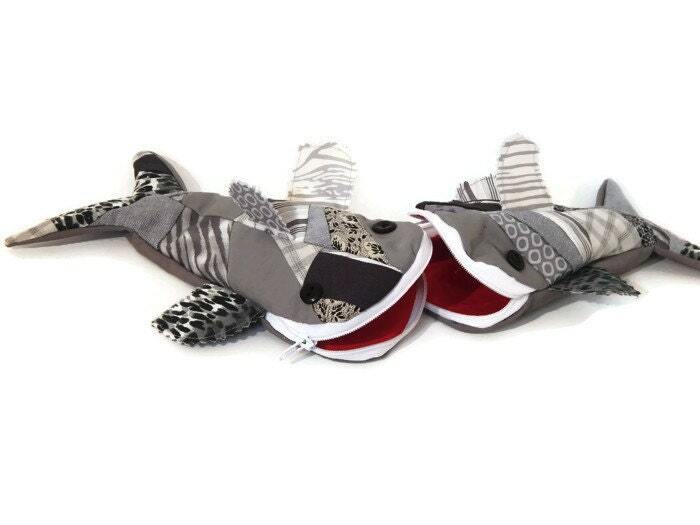 Shark lovers will find this pencil pouch to be extra special. Just in time to be a school supply as a pencil case! What about a birthday present for shark lovers to keep their sunglasses in. It would be perfect for an iPod case or any small gadget. A boy gift or a girl gift for the kids who love sea life? If you wear makeup it can be your cosmetic case. Lighten things up and have it hold your menstrual supplies. So many wonderful uses for the gray shark. The sharks come from a smoke-free tank. This item was purchased as a gift for a friend. It arrived quickly and she was delighted. Very pleased with this purchase. This item is well made and is very cute! Shipping was very fast!